I’d like to announce some very exciting news about the blog today! 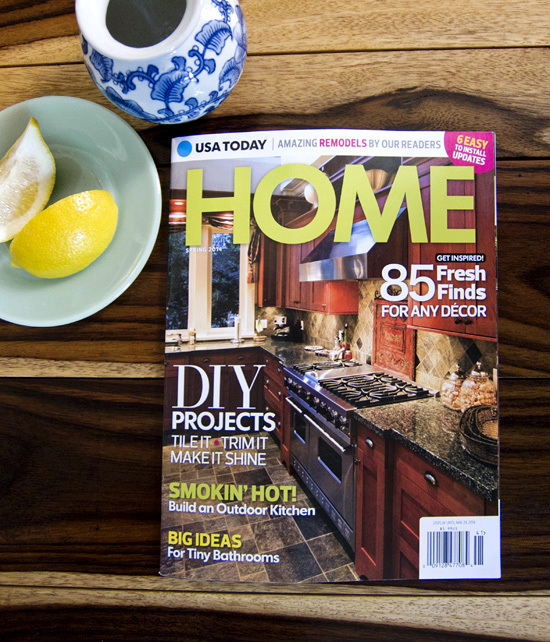 Our Kitchen DIY (specifically the tile back splash) was featured in USA Today’s HOME Magazine! 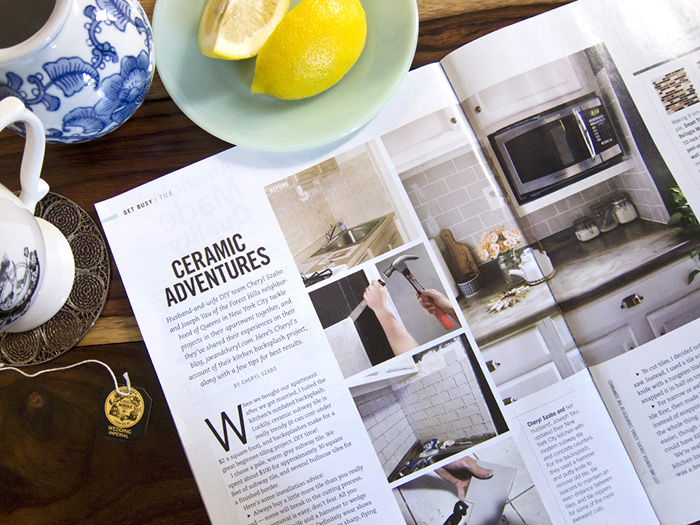 Their Spring 2014 issue focuses on home DIY’s and I was approached by one of their editors when she randomly came across our blog. At first I was sure it was a scam because who would be interested in my humble little blog? But it’s legit and I am just so pleased with the opportunity to share my experience with a wider audience. 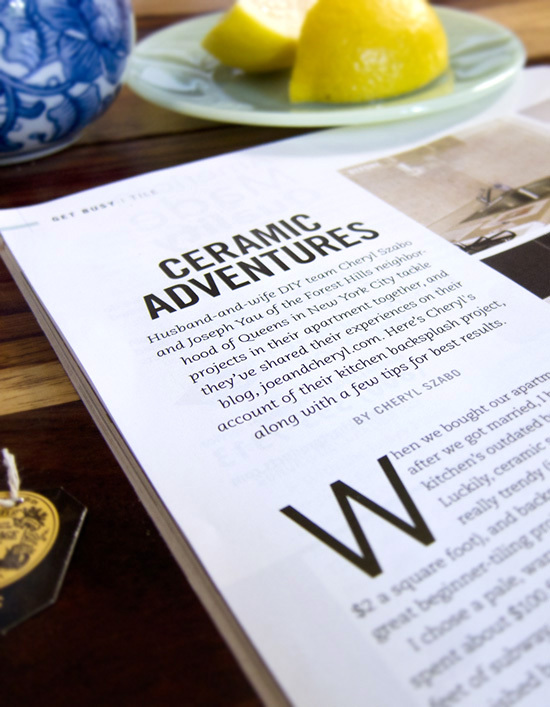 I hope it inspires more people to tackle their own DIYs! P.S. My apologies for going so long without posting. Life has been extremely busy ever since the New Year, what with Fashion Week and other work-related busy seasons. I promise I have a bunch of exciting projects in the pipeline to share with you! SO COOOOOL! And so proud of you! yay!!!!! i love that you are passionate and you do things WELL! You guys always make me smile. Congrats and well deserved! I want an autographed copy!